A report on the “220 Challenge”—Desafío 220 in Spanish—presented to the 2017 Inter-American Conference (IAC), a representative assembly of the nineteen countries in the region, suggests that the Latin American church has grown by nearly one-fifth since 2011. Baptismal candidates in Venezuela, 2015. The 220 Challenge asks every Church of God believer to commit to help plant two churches and make 20 disciples by the year 2020. To date, Christians in 12 of the IAC’s 19 member countries have accepted the Challenge. 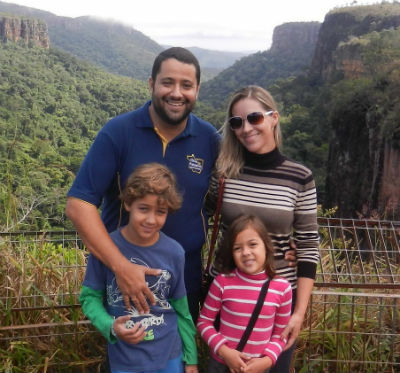 Photo: Bivocational church planters Fabio & Marli Cristian, Cuiaba, Brazil. Among Latin American countries registering significant advances in recent years are Brazil, Colombia, Costa Rica, Guatemala, and Paraguay. The Northern Region of Brazil (Amazonia) has planted, on average, one new congregation every year since 2002. The Northeast Region (Natal) reports strong membership gains since adopting a strategy to train lay leaders to form discipleship groups in their homes. 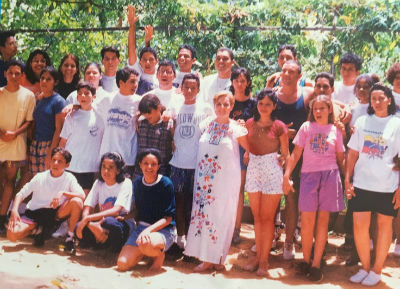 In southern Brazil, the Troas Network (Rede Trôade in Portuguese) has sparked a growth spurt through preparing and coaching church planters, and then deploying them in strategic communities. Costa Rica reports a 30 percent increase in churches and attendance in the past five years, an unprecedented growth curve for the Central American nation. Other countries reporting strong growth include Colombia (particularly in the state of Putumayo), Paraguay (Encarnación and surrounding areas), and Guatemala (among indigenous people groups). Cochabamba, Bolivia, hosted the 2017 Inter-American Conference during Holy Week. 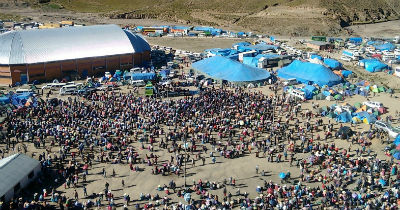 The venue gave international visitors the chance to attend the Bolivia national junta (camp meeting) in Chacarillas following the conference. With more than 250 congregations and house churches, Bolivia is the largest national movement of the Church of God in Latin America. Updated information on the 220 Challenge and general news of the Church of God in Latin America, in Spanish, may be found online at www.latrompeta.org. David and Barbara Miller serve as regional missionaries to Latin America. Learn more about Global Strategy at www.chogglobal.org. This entry was posted in All Church of God, Global Strategy and tagged 220 Challenge, Barbara Miller, Brazil, church growth, church planting, Colombia, Costa Rica, David Miller, discipleship, evangelism, Global Strategy, Great Commission, Guatemala, IAC, Inter-American Conference, international, La Trompeta, Latin America, missions, Paraguay, world. Bookmark the permalink.